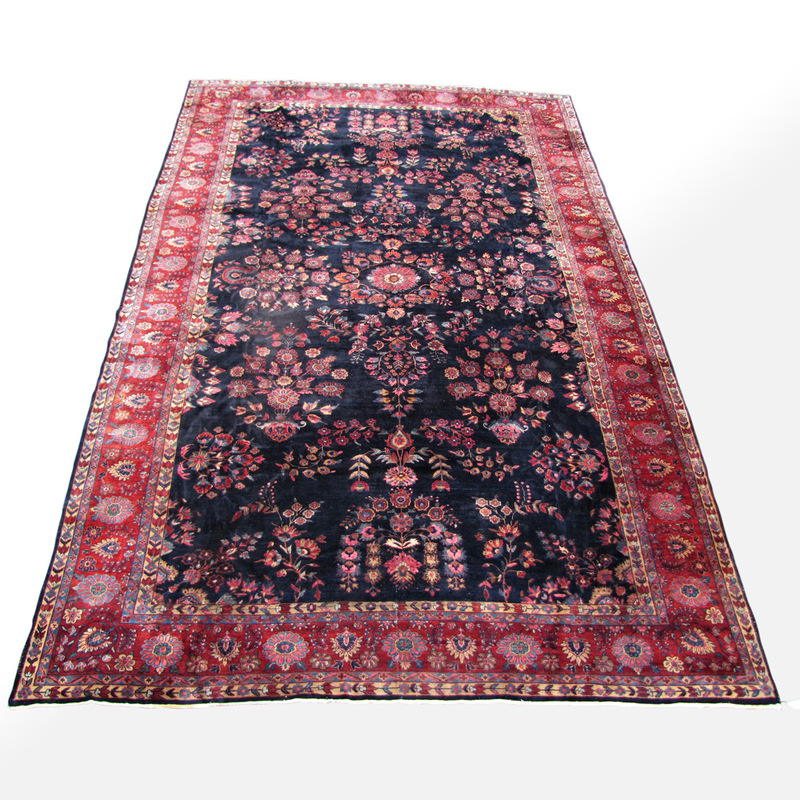 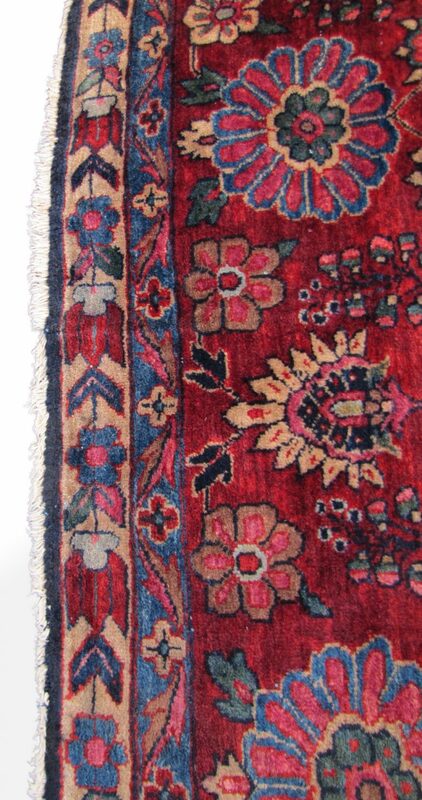 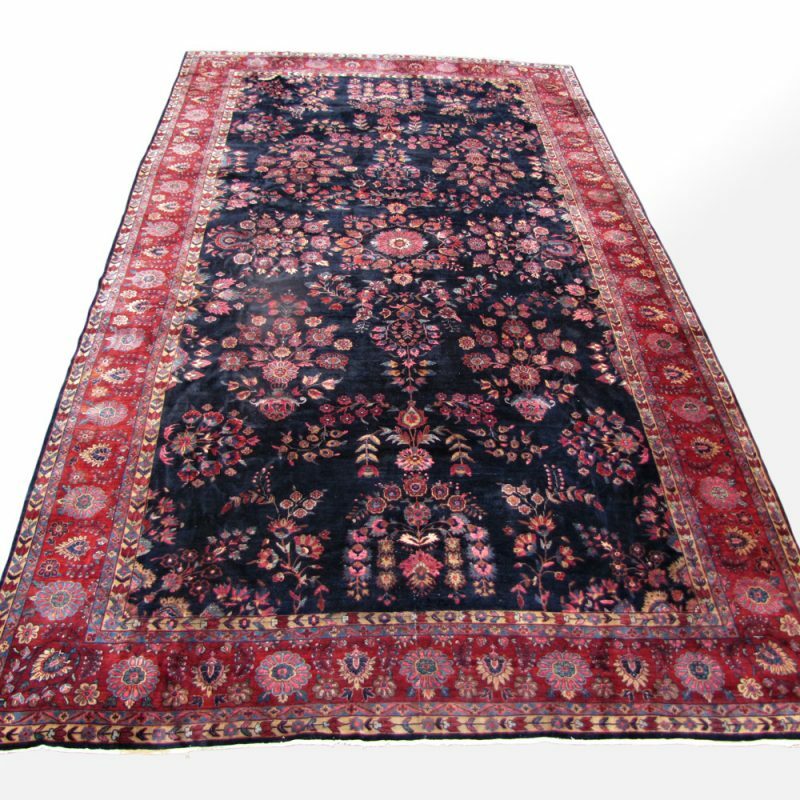 This is a Superb Antique Palace Size Persian Mahajeran Sarough Rug from the 1890’s/ turn of the century. 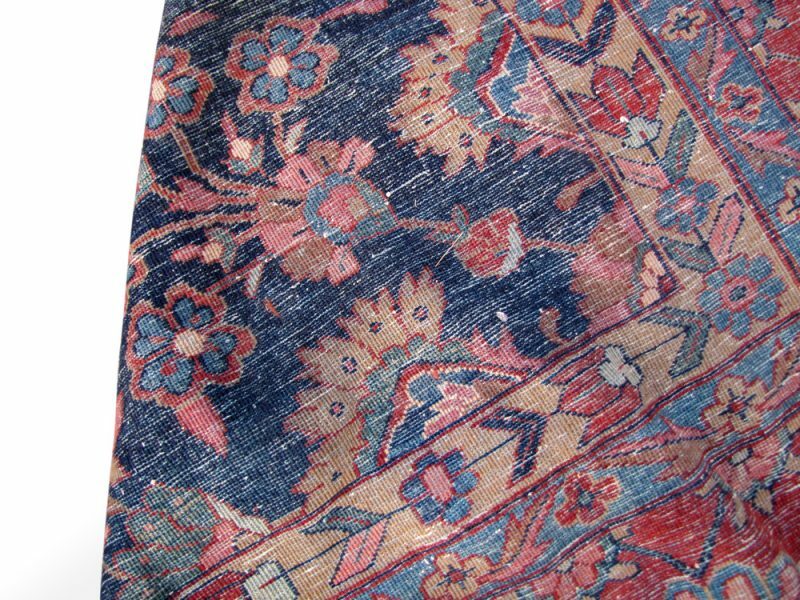 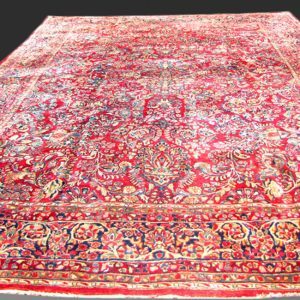 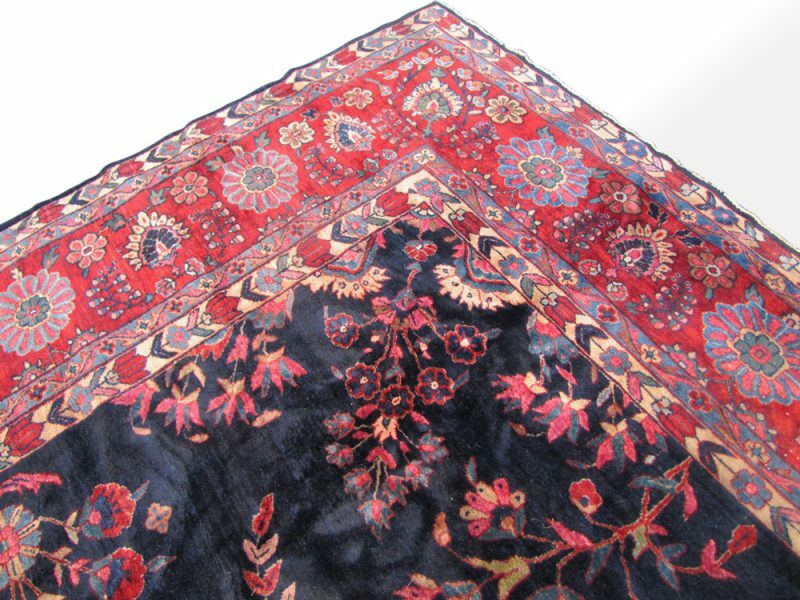 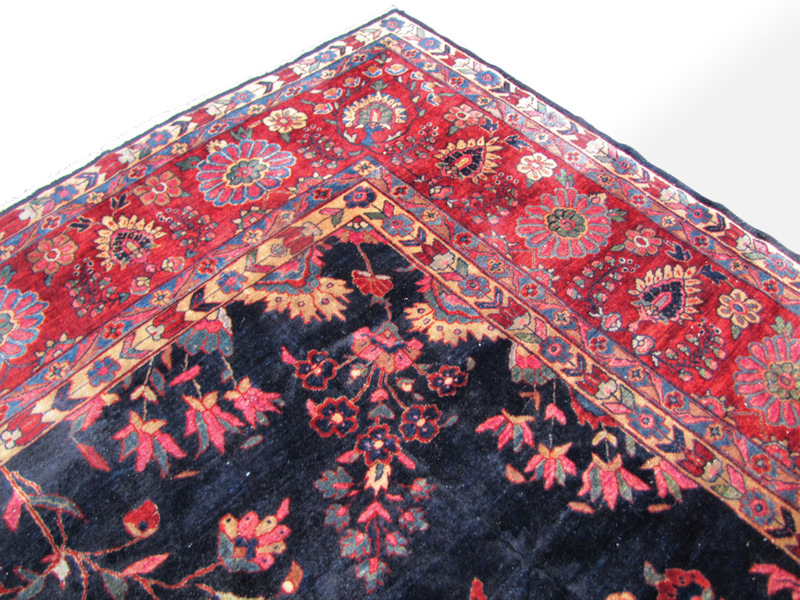 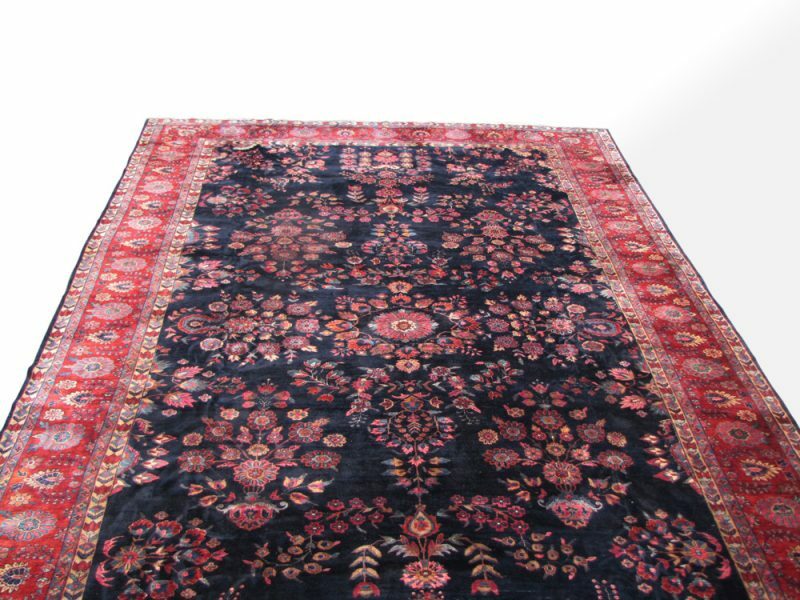 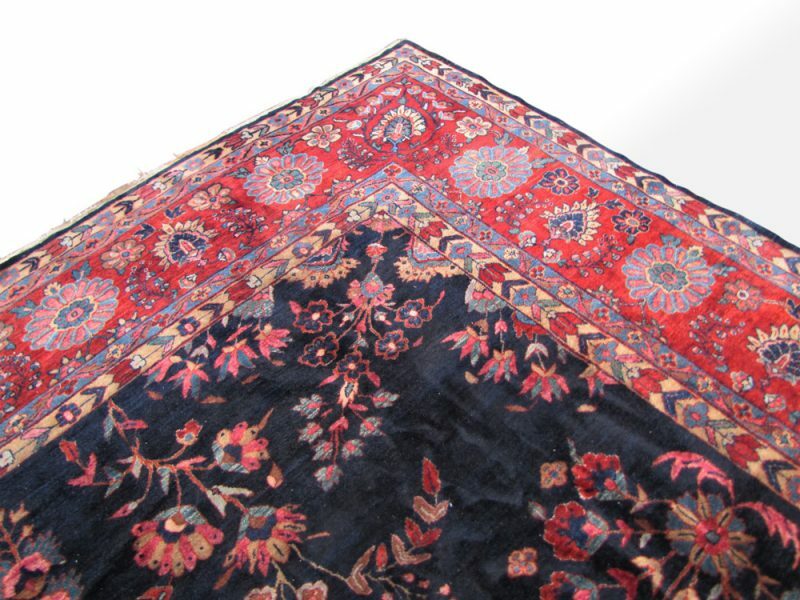 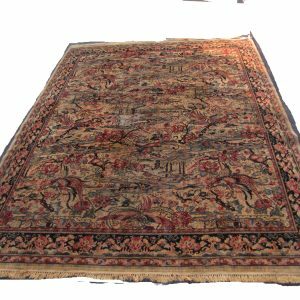 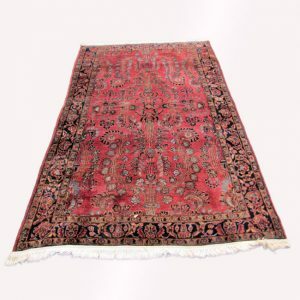 This is a great rug that has a full pile and it is in very good condition. 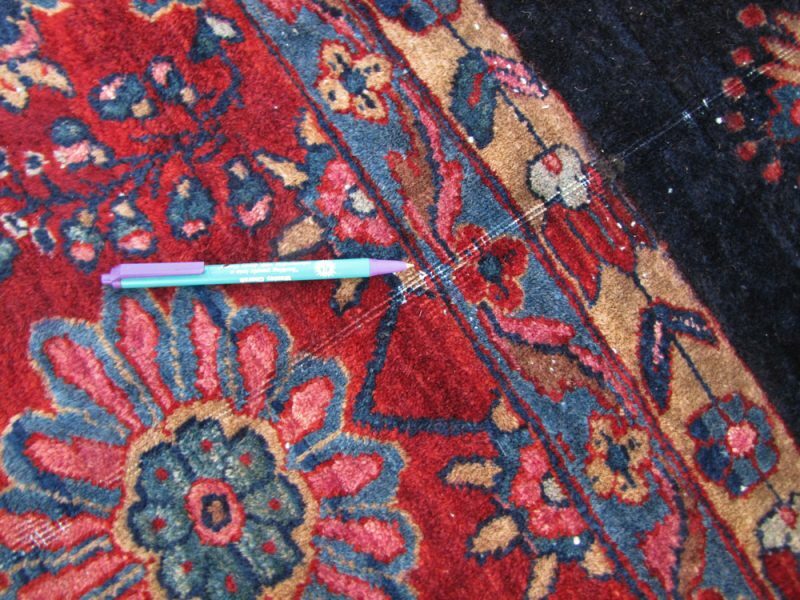 There are 3 spots of a lower pile on this rug. 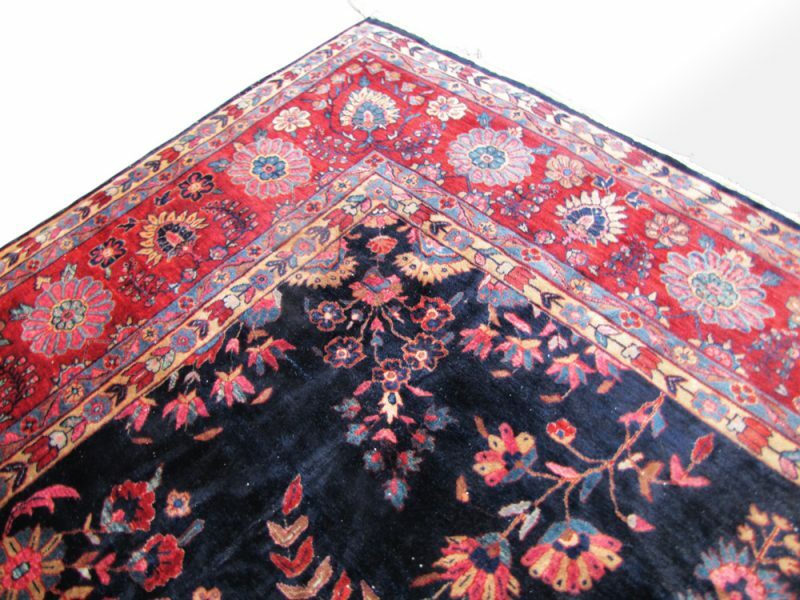 These low spots you can’t even see standing up, you have to be crouched down and close to the rug to see the low spots. 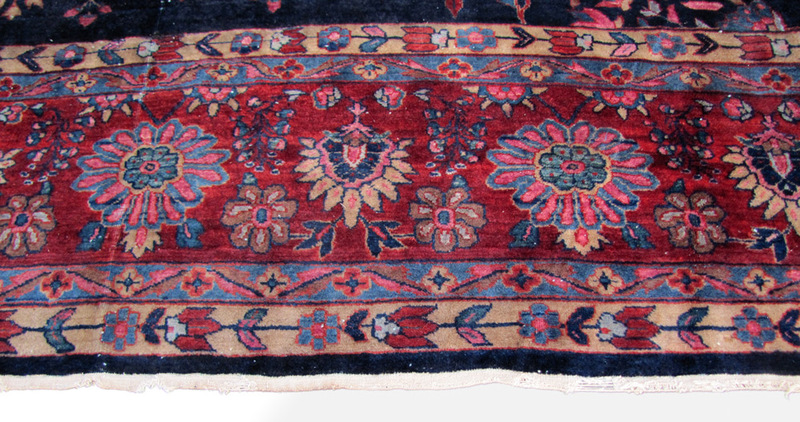 The two ends of the rug are complete and the one end has the original flat weave kilim still present. 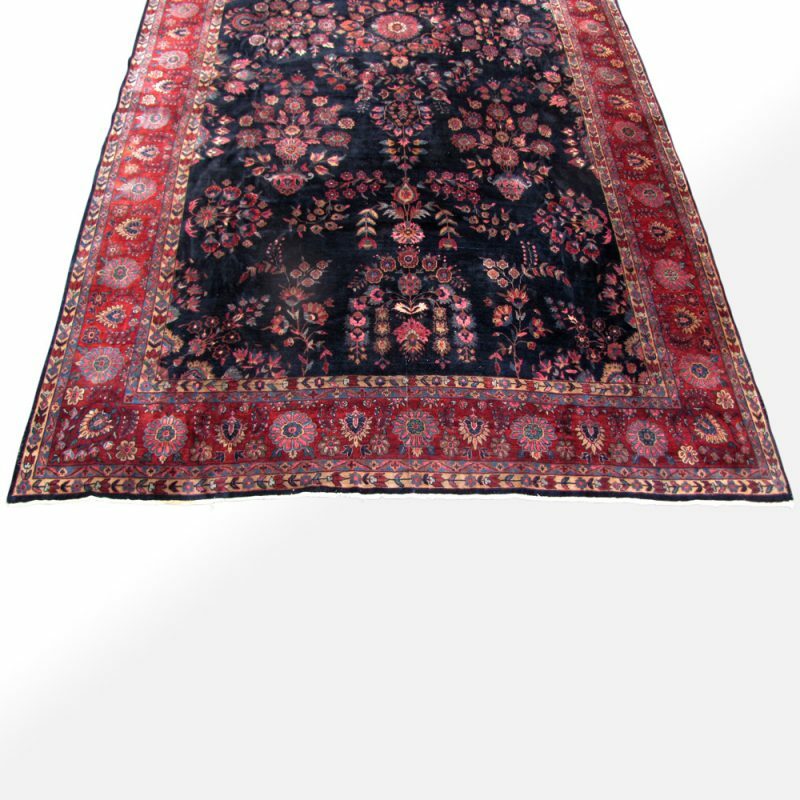 This rug is cleaned and ready to use in your home.